A hot water system in Melbourne is a requirement in most offices and homes. 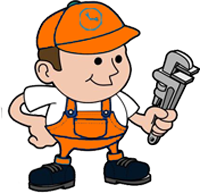 Melbourne has well-trained and professional licensed plumbers who work 24 hours a day. When in need of a repair or installation all you have to do is contact the plumbing company and they will be fast to respond to your needs. They are a variety of hot water system heaters in the market today. This type of hot water system uses electricity to heat water for your homes and offices. It has an electric element when hot water is turned on it is sparked. This electricity heats the water either for storage or use at the moment. Most home do not have gas connections in that case electric hot water system suits all their needs. The upfront cost for buying an electric hot water system in Melbourne is less expensive compared to the other systems. One disadvantage it has it’s expensive to operate in long run due to the rising energy bills. This is a standard hot water system that uses gas to heat water. It is economically cheap compared to other hot water system in Melbourne. Gas hot water system heats the water in the system by the burning gas and a covered burned placed under the hot water system. This form of system is available as an instantaneous unit or either storage unit. These are some major reasons why gas hot water system in Melbourne is becoming more popular. They come with energy star rating this helps you choose the efficiency of the gas hot water heater. When compared to the other hot water system in Melbourne they have less environmental effect. Gas hot water system also tends to heat water in the system faster compared to electric system. These hot water systems are available in two varieties Gas storage tank and Continuous flow. A gas Continuous flow does require storage tanks to heat your water. This system provides you with constant stream of strong hot water. The system is set to automatically turn on when a water tap is turned on and vice versa. They posses an optimal temperature control remote, which helps in setting the desired temperature for different areas in either offices or homes. A gas storage hot water systems heats water stored in cylinders, to a specific set temperature which is available when you need. This type of hot water system in Melbourne consists of a solar panels and water storage tanks. The solar panels absorb sun rays which is converted to energy hence aid in heating the stored water. They posses a number of benefits from energy saving to reducing greenhouse gas emissions. They are a number of solar hot water system in Melbourne examples are Aquamax, Dux, Rheem, Rinnai, Saxon and Vulcan. These are the latest technology of hot water system in Melbourne. They have a similar technology to that of a refrigerator but they produce warm water instead of cold energy. Installation costs are very low compared to the other hot water systems. They are regarded as the most safest because temperature is electronically controlled in all cases. Installation and replacement of hot water system in Melbourne should only be carried out by a trained and licensed professionals. Employing untrained professionals not only does it put your family and office at risk but also void your insurance claims if anything happens. A hot water system Melbourne plumber should talk you through a list of systems in-order for you to make the right choice replacement. They will definitely install or replace for you the same day.. they have access to all Melbourne hot water heater systems. Melbourne have skilled and well trained plumbers who repair your hot water system if it’s not too old or bad. They move with huge spare parts in their vans at all time, so your attending hot water system Melbourne plumber will repair your heater on-site, they will save your many reducing cost of moving in source of spare parts.